Protective films are used wherever high-quality surfaces must be protected, for instance in order to avoid damage during transport, storage or further processing steps. 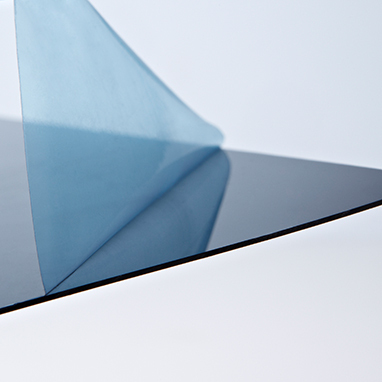 Protective films are complex systems that must be matched to the respective applications. This also means that different materials are used for the carrier films. In close cooperation with its customers, KÖMMERLING develops appropriate bonding systems, customised precisely to needs and individual requirements. Electronic devices such as LCD or plasma screens, mobile phones or tablet computers require ultrapure films that can be removed without leaving any residue whatsoever. KÖMMERLING adhesives ensure the necessary transparency. PVC window profiles are increasingly conquering the window market. When they are used to make windows, their surface must be protected against dirt and damage. The protective film must not come off during the processing of the profile. Before and after the installation of the finished windows, they also need to be protected from UV radiation and weather influences. Afterwards, it must be possible to remove the bonded protective film without any residue. Protective films can also be used as an advertising medium and as a means for providing information. 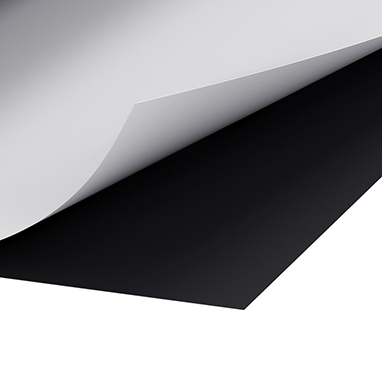 For this purpose, printed films can be bonded with plastic sheets, for example.